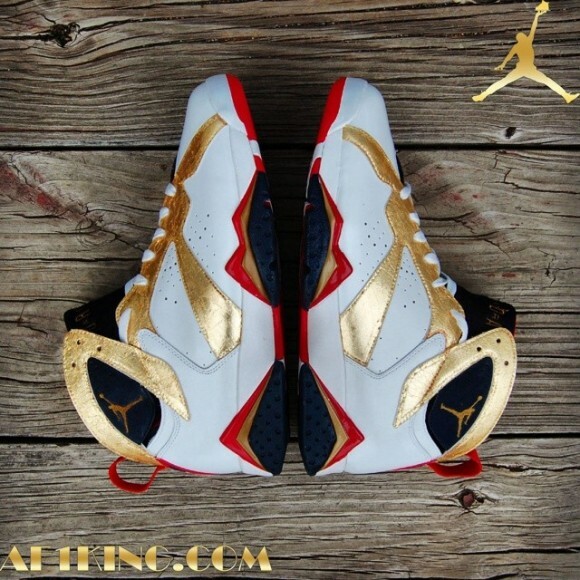 Remember those AJ7 “Olympic” shoes that hit stores nearly two years ago? 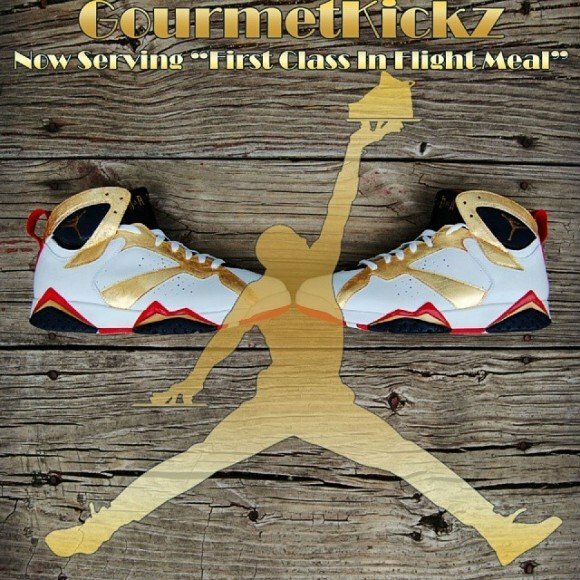 Yeah, say tah-tah to those, and cheer on these new “First Class In Flight Meal” customs by Gourmet Kickz! 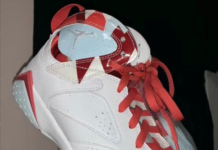 The Air Jordan 7 “First Class In Flight” customs by Gourmet Kickz see the original “Olympic” colorway, but is enhanced by the application of gold leafing. 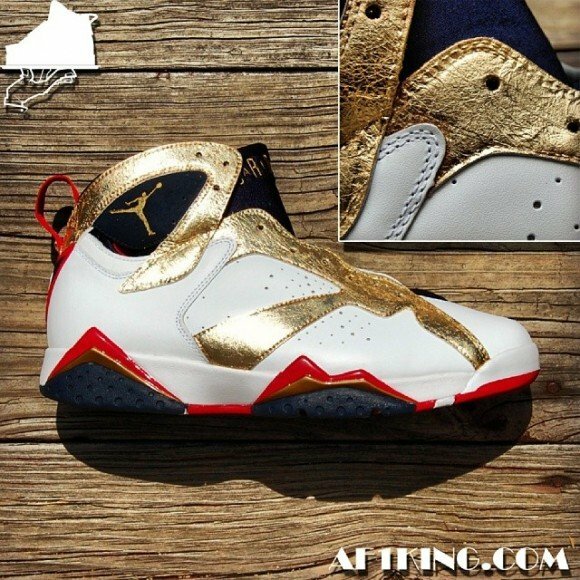 Naturally picking up the nickname “Gold Medalist,” Chef Gourmet took the AJ7 “Olympic” kicks and worked on recreating their recipe to fit his own taste. Swapping out the metallic silver that covered the overlaying panels on the shoes, Gourmet chose to take on the challenge of gold leafing. Leafing is a historic technique that requires extremely thin sheets of gold- not gold paint, but the actual Au79 gold! From the photos included, you can plainly observe that the lustrous accents on the shoes are rather solid and opaque, meaning some real time and effort went into layering those sheets precisely to create those golden aesthetics. 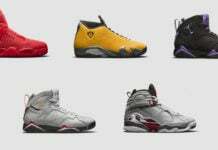 The rest of the original features from the AJ7 “Olympic” shoes are still featured, including the varsity red and navy blue accents present throughout the shoes. 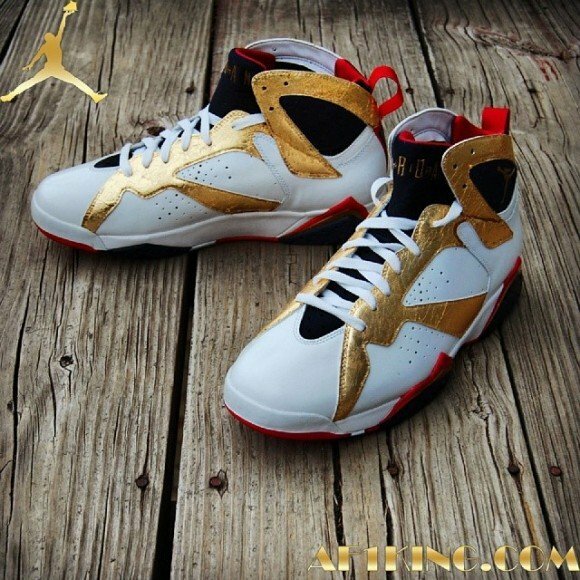 The gold leafing really adds a nice touch to these kicks. 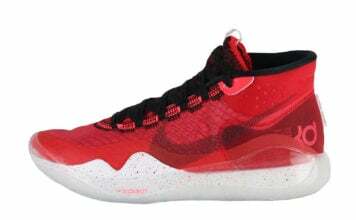 They’re definitely worthy of a first place winner, in any event! 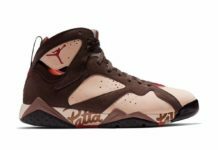 More photos of the AJ7 “First Class In Flight Meal” customs follow, but check out Gourmet Kickz‘s entire inventory on his site now! ?? Is this an old story?? People were doing this 2 years ago.